I have to confess, I knew NOTHING about the city of Jerash, not one, single, solitary thing. I had never even heard of it! Our discovery happened because we chose the only available nonstop flight between Istanbul and Amman, Jordan leaving at 1am in the morning from Istanbul. We had initially planned to fly out the day after, but choosing this late night route allowed us to maximize our short time in Jordan. Making this decision ended up being very fortuitous, because just 9 hours after we departed, there was a country wide blackout, a suspected act of terrorism. It lasted for hours and closed down the city of Istanbul. All trains, trams, subways, traffic lights, etc. were shut down, and even flights were affected. The city was at a standstill, and in a city that is already jam packed with traffic, that is not a pretty thing. We were glad to have just missed it but hopeful that it was not an act of terrorism. We are still not sure what the final analysis was. At any rate, flying through the night landed us in Amman, Jordan at 4 am, where we picked up our rental car and headed over to our resort on the Dead Sea. When we arrived, we were exhausted. Thankfully they allowed us to check into one of our two rooms very early, so we all crashed on the beds and floor for a few hours. When we were finally ready to leave, it was just too late to head to Petra that day, so we started researching where else we could go, and stumbled upon Jerash, the second most popular tourist destination in Jordan. What a find! The ruins of Jerash are amazing and so well-preserved! Having been to Rome and Pompeii myself, I’d have to say Jerash rivals both cities and in my humble opinion, is even better. I’m sure visiting in Spring contributed to the beauty, as there were wildflowers everywhere, but honestly, if you have time to visit Jerash (the opposite direction of Petra from Amman), do yourself a favor and visit. While you can Google the history of the ancient Roman city of Jerash yourself (very interesting), I will share that during the Roman Empire, it was referred to as the Pompeii of the East. You can meander through the city as it once was years ago, seeing columns, theaters, plazas, and ancient city walls. 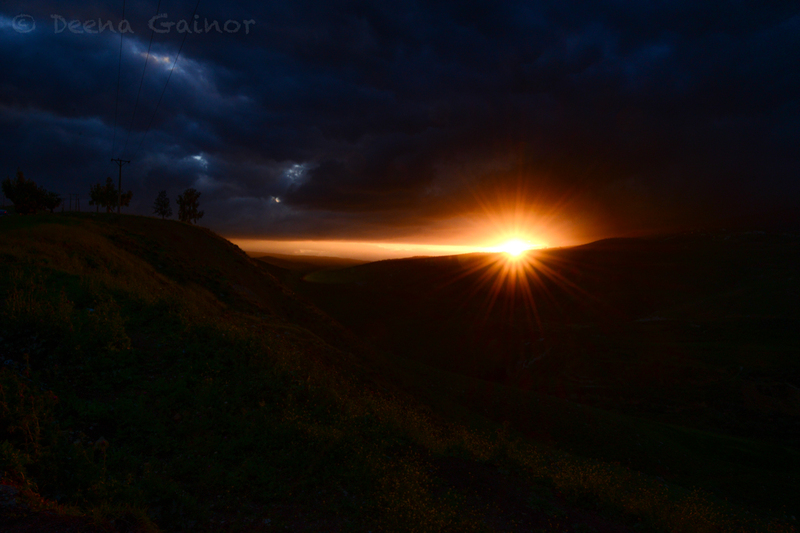 Below are a few photos we captured while wandering. Enjoy! We ran into a shepherd and some goats, wandering through Jerusha. One neat thing about Jerash is that the kids were able to interact with the ruins by touching, climbing, and jumping. That was their favorite part. We also got to hear a few musicians play in the theatre. A group of young female school girls began to dance spontaneously as we looked on and the musicians coerced us into joining them. It was such a neat experience! 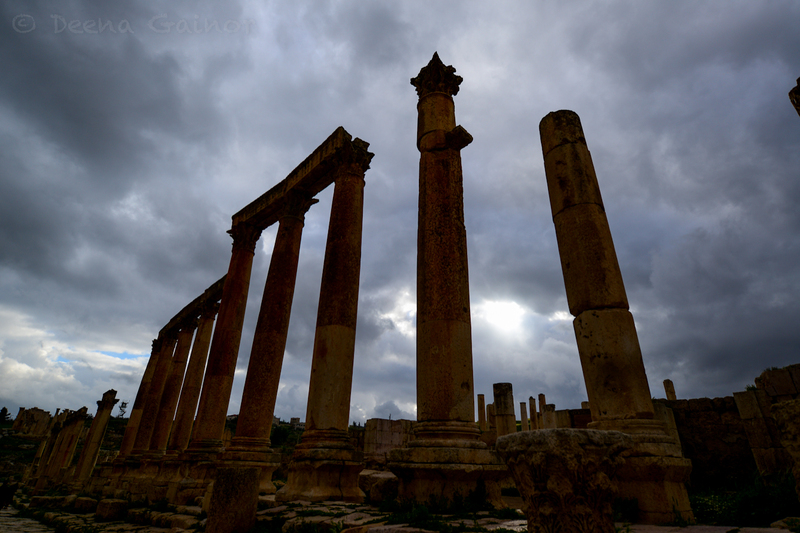 Accidentally discovering Jerash was one of the best unexpected surprises of our visit to the Middle East. The sunset as we left Jerash and headed back to the Dead Sea.